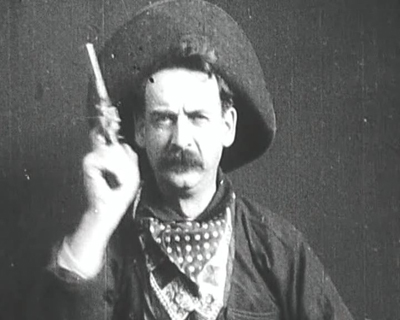 In 1903, the desperado in the image to the right appeared in an early film about a robbery. He was the classic guy in a black hat and, of course, he was eventually foiled by the guys in the white hats. That was a simpler time. Today, law enforcement is assisted so much by modern technology that the guys in the black hats rarely try to rob a bank, as they’ll almost surely be caught. So, does that mean the end of bank robberies? Well, unfortunately, no. In the future, we’re likely to witness bank robberies on a scale such as we’ve never before witnessed. The difference is that they’ll be robbed by the guys in the white hats. And, the kicker is that the laws of the land will be entirely in their favour. It will be legalized robbery. In 2013, the world saw its first “bail-in,” in which the banks of Cyprus confiscated the deposits of many of their clients. There was no warning and there was little in the way of explanation, except to say that it was “necessary.” What that really meant was that the banks had been mismanaged to the point that, unless the deposits were confiscated, they would fail. Under the guise of “assuring the security of the institution of banking,” the banks were robbed by the bankers themselves. Cyprus was seen by the world as an anomaly, but, unknown to most people, the US had already, in 2010, passed a law (buried in the back of the Dodd-Frank Act), allowing any bank, unilaterally, without further authorization from the US government, to confiscate the funds of depositors, if the bankers determined that a bank emergency existed. Almost identical legislation was passed in Canada in 2013, buried in the back of that year’s National Budget. This was followed in the EU by similar legislation in 2014. The collusion by banks and governments in this development is much the same as a lamb and two wolves voting on what to have for dinner, with the depositor in the role of the lamb. Since that time, the EU has also passed legislation authorizing the confiscation of wealth kept in bank safe deposit boxes. And in the US, in 2015, Chase Bank advised clients who rent safe deposit boxes that the storage of “cash or coins other than those found to have a collectible value,” was no longer acceptable. Therefore, cash or coins in safe deposit boxes could, in future, be confiscated by the banks. In 2017, Greece took this concept even further – approving the mass confiscation of safe deposit boxes, plus confiscation of securities and wealth held in private homes. So, what’s happened since then? Have we seen a rash of bank robberies throughout these jurisdictions by the bankers? So, is there reason for concern? As long as the confiscations are occasional isolated events, shouldn’t we assume that the odds of us being affected are slim? Well, the fly in that particular ointment is that, whilst business is booming for banks at present, and certainly we’re not looking at a state of emergency, the likelihood of a mass confiscation being in the offing is substantial. We know that in the EU, US and Canada, the level of debt within the banking industry is now far beyond anything the world has ever seen. If, for any reason, this enormous bubble were to encounter a pin, what we’d be looking at would be a banking emergency of unprecedented proportions. And the leading jurisdictions of the First World would be at ground zero in the crisis that would immediately follow. When (not if) the bubble pops, the banks have the authorization for unlimited confiscation of deposits and the contents of safe deposit boxes. So, what would this look like? Well, based upon historical banking emergencies, the way it would be likely to play out would be that, after some holiday weekend, you, the depositor, would go to your ATM on a Tuesday following the Monday holiday and find the screen of the ATM dark. Assuming that the ATM was malfunctioning, you’d drive to another ATM and find that that one was also out of operation. After the third or fourth dark ATM, your new situation would begin to sink in. At some point, the banks would release notices that an industry-wide emergency existed and that they were doing all they could to return to normalcy. They would assure the public that the ATM’s would be reactivated soon but, for the time being, limited withdrawals would be allowed. This, of course, was what happened in Greece several years ago. The Greek people suffered under the “allowance” that the banks gave them, patiently waiting for the resumption of normal banking. That normalcy never came. To this day, the Greek people are on an allowance from the banks, with no relief in sight. The Greek people do their best to survive on this pittance in the hope that, one day, they’ll have access to all of their deposit money. That day will not come for the Greeks. The money is gone – swallowed up by the banks. In the coming economic crisis, the laws are already in place to assure that the bankers (at least in the EU, US and Canada) can rob the banks and do it without any threat of prosecution. Whether an economic crisis is triggered by rising interest rates, market crashes, the dumping of treasuries back into the system, the collapse of the petro dollar, or any one of a host of other possible triggers, all of which are looming in the wings, the bankers have prepared themselves for the coming crisis. The depositor will pay for the bail-in and the banks, having created the economic crisis, will be the net recipients. Just as in Greece, the public will bite their nails, ever-hopeful that their deposits have not been lost and that they’ll once again be able to withdraw any portion of their deposits they wish – the total amount, if they so choose. As for the fellow in the image above, we fully understand that, if he succeeds in robbing the bank, he has no intention of returning so much as a farthing. The reader may speculate whether he feels the fellows with the white hats are more likely to return what they’ve managed to take away. If he decides in the negative, he may wish to begin his withdrawals now and place his wealth (however great or small) in a non-banking institution – one that doesn’t have a license to steal. Jeff Thomas is British. He has lived multi-nationally since childhood, but resides primarily in the Caribbean. The son of an economist and historian, he learned early to question governments as a general principle. He has bought precious metals throughout his adult life. A confirmed contrarian and independent thinker, he describes his “qualifications” as not having pursued a degree in conventional economics at university, having been surrounded with those from the financial industry, while not relying on that industry for income and having chosen early in life to avoid residing in countries where he could not control his own future. Although he spent his career creating and developing businesses, he has also written regularly for over thirty years on Austrian economics, personal liberty and limiting government. He is a feature writer for International Man, in addition to being published frequently in other publications.